You know the shoes—the dirty, smelly, worn-out ones that you just can’t part with. They’re the perfect pair… except for being almost unwearable at this point. If only there was a way to give them new life. Luckily, there are some steps you can take. Here are our top tips for getting your shoes back in shape! 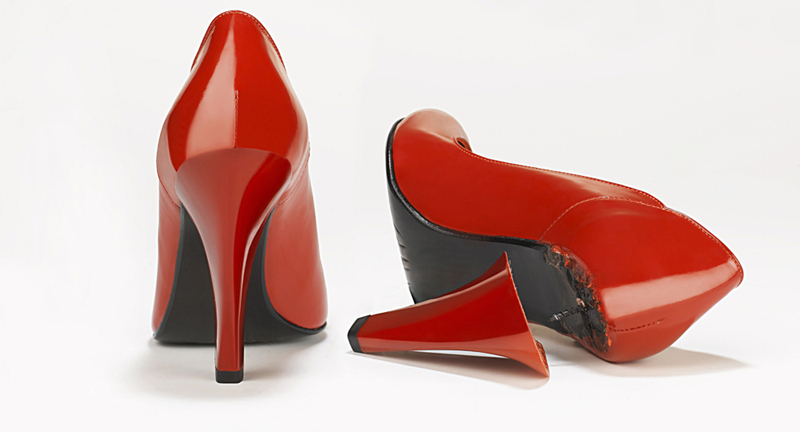 Broken Heel: Broken heels can be fixed using a shoe glue (we like the classic Shoe Goo) and heel tack, which are inserted to anchor the heel in place. Just be sure to line up the heel, use enough glue and give it enough time to dry before wearing it again. Detaching Sole: Once again, Shoe Goo to the rescue! Simply glue the sole back down, press hard to seal and let it dry. Worn Sole: This is an easy one. Buy a replacement sole and stick or glue it on over the old one. If you have a pair of shoes you love, apply sole protectors before they wear down, then replace them as necessary. They even make one specifically for heels! Chipped veneer: It’s not perfect, but you can mix some nail polish to match the shoe as closely as possible, then apply to the chipped areas. From a distance (and who’s going to get that close to your feet?) it won’t be noticeable at all. Smelly Shoes: There are a variety of products that can help freshen your shoe’s scent. Look for a product that soaks up the scent, rather than just attempting to cover it up. A fragrance spray will mask the odor, but it won’t remove it. You can also put baking soda in a coffee filter and leave it in the shoes overnight. Some sources suggest freezing them, but airing them out outside may be the best (and um… cleanest) option. Dirty Shoes: Cloth shoes, like sneakers, can go through a washing machine, though we recommend putting them in a cloth bag first. Otherwise, use water for cloth or dry brush cleaning for suedes and imitation leather. For real leather, you should buy a shoe polish or cleaning kit. Leather is incredibly durable when cared for, and the right tools will really extend the life of your shoes. Fraying Laces: Try trimming the ends of the laces and tying the new end in a solid knot to avoid fraying. For extra security, dip the end in a little hot wax and let it dry. Laces are pretty inexpensive though, so you may just want to buy a new pair. Glue or sew on jewels, rhinestones or decorative gems. There are dedicated tools for this, but if you’re just looking to add bling, fabric or shoe glue works fine. Glue pre-made bows, hearts or other decorations on shoes for a new look. Use a fabric marker to draw on dots, stripes or anything else you desire. This works best on light-colored shoes. For a textured look or darker fabric, try fabric paint pens. If your shoes were high quality to begin with, consider taking them to a shoe repair shop. A good repair shop can really give your shoes new life, even going so far as to replace the soles entirely. 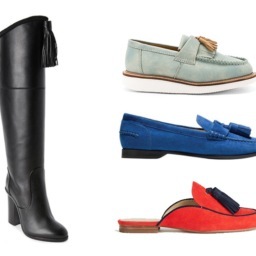 This isn’t the cheapest option, but for a good pair of heels or winter boots, it can absolutely be worth it. If you love them, they fit well and you wear them often, it’s better to leave it up to the pros.